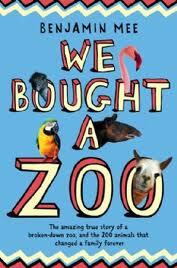 I've just started We Bought a Zoo by Benjamin Mee. 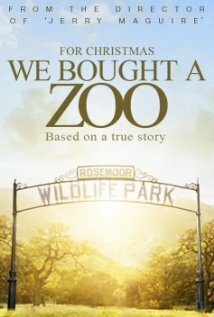 It's the true story of a British family who --wait for it -- buy a zoo! 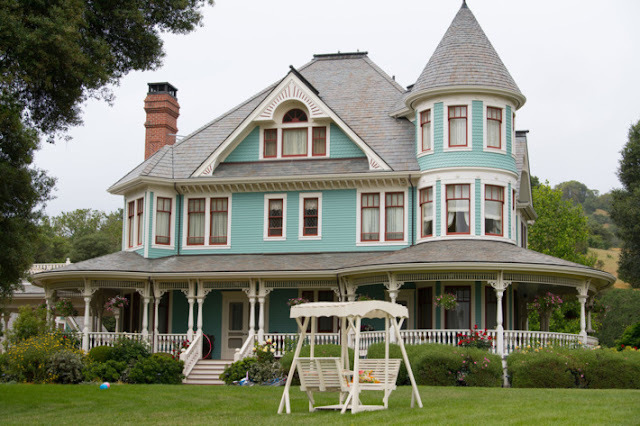 If you've seen the trailer for the movie which stars Matt Damon and Scarlett Johansson, you already know that in the movie the family is definitely NOT British. And the zoo, which in the real world is in England, looks like it's somewhere in the states in the reel world. So one wonders what else they've changed. Or does one? Because just over 60 odd pages into this two hundred and four page book, this is what I know: British family emigrates to France to restore an old farmhouse, wife gets diagnosed with cancer. Treatment cures her massive tumor except all the experts say it will come back; there is a very, very small chance of survival. The husband, a DIY writer, is in a bit of a state of denial about this so when his family back in Britain suggests they all pool their resources to buy a zoo - which comes with a huge ramshackle house - he plunges in to explore the options. After endless rounds of conversation, consultation, studies, and legal documents ad nauseum, they buy this zoo - which is in just as poor shape as the house. And just over 60 pages in, this is what I know. The basis of the story should be a glorious feeding ground for the dramatic. Unfortunately, at least so far, Mee's telling of it isn't. It's a tad stodgy and so full of the endless details of the purchase, and really very little attention to the wife, that one can forgive director Cameron Crowe and scriptwriter Aline Brosh McKenna (more about Crowe in another post) for making a film, more accurately inspired by the book, rather than being based on it. Then again, perhaps I'm not being fair, perhaps we're still in the formative stages and Mee will deliver the goods in the three fourths of the book I've yet to read. So, giving him the benefit of the doubt, I will perservere and shoo away my thoughts that for once, the film may be better than the book. A nice ending. Just not what I am hoping for as I read! Have you read it? What did you think? Am I gettting ahead of myself? I'll post my updates over on my The Movie I Am READING Now page. 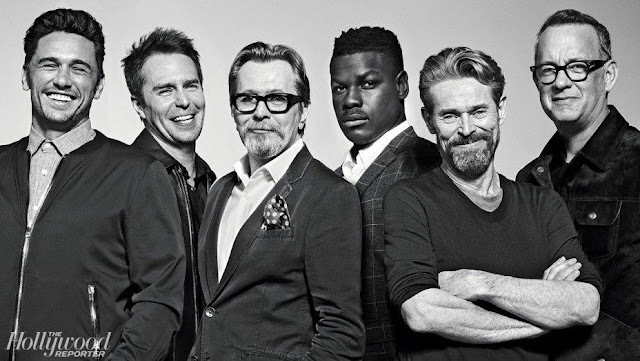 The movie is getting quite a bit of buzz and opens in select theatres this Thanksgiving weekend. Take a gander at the trailer and see what you think.